If you have fibromyalgia and want to reduce your fatigue, this is what you need to know about the critical link between your sleep/wake cycle and adrenal hormones. Your adrenal glands play a vital role in determining your daily energy/fatigue cycle because they produce the important hormones cortisol and DHEA. 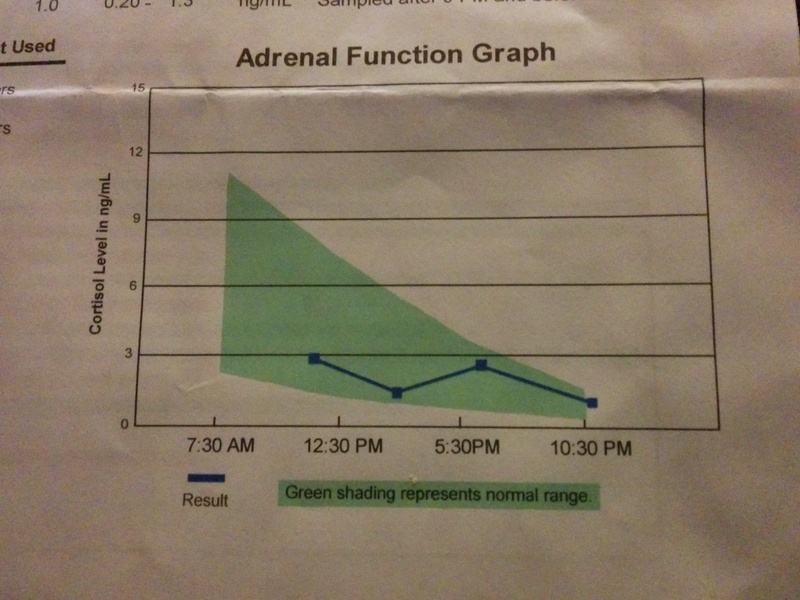 When I got the results of my adrenal function test, I found the explanation for my daily energy and fatigue cycle. This test measures the functioning of your adrenal glands, which are responsible for regulating the production of several critical hormones, including cortisol and DHEA. It can help you figure out your daily energy/fatigue cycle so you can modify your treatment and pacing decisions to best effect. To be clear, I am not suggesting that the diagnosis of adrenal fatigue, a controversial condition among medical doctors, is the same as fibromyalgia fatigue. Instead, I believe that research has demonstrated the important role hormones, like cortisol, melatonin and DHEA, play in your daily circadian rhythm (sleep/wake cycle). Abnormality in circadian rhythm of hormonal profiles has been observed in [fibromyalgia]. Moreover, there are reports of deficiency of serotonin, melatonin, cortisol and cytokines in FMS patients, which are fully regulated by circadian rhythm (Mahdi, et al., 2011). These hormones are often deficient in people with fibromyalgia. Since cortisol and DHEA are produced by the adrenal glands, I think it is correct to say that ‘adrenal hormones’ are part of the fibromyalgia fatigue puzzle. What is an Adrenal Function Test? The test involves taking saliva samples four times during one day (before breakfast, lunch and dinner and at bedtime). My naturopath gave me a kit with four test tubes to spit into, and a plastic envelope to mail the samples across the country to Rocky Mountain Analytical labs (weird, right?). They tested my saliva for the cortisol level from each sample and graphed how it fluctuated during the day. I also had my overall DHEA level tested. What is Cortisol and Why Should You Care? Cortisol, also known as the ‘stress hormone’s is produced by the adrenal glands (endocrine glands that sit on top of the kidneys). You may have heard of cortisol and its role in the ‘fight or flight’ response to stressful situation – when the body releases high levels of cortisol , alongside adrenaline, to initiate that heart-pounding mode, pumped up feeling you get in a crisis. But cortisol also plays a vital role in day-to-day functioning. Cortisol is released in the morning to help you become alert and focused. It is supposed to decline gradually during the day so that by evening you feel sleepy and ready for bed. Melatonin, the ‘sleep hormone’, rises before bedtime and reduces cortisol production by the adrenal glands. However, in women with fibromyalgia, night-time melatonin has been found to be abnormally low and night-time cortisol abnormally high, probably leading to poor sleep quality. The green shading on the graph in Fig. 1 shows the ideal downward curve from morning to night. There is a normal range in the population, with people on the upper end going from 7.0 to 1.3 ng/mL from a.m. to p.m. and people on the low end of the range going from 1.0 to 0.2 ng/mL. In some studies, a pattern of low daytime cortisol and high night-time cortisol is characteristic of a disordered circadian rhythm in some people with fibromyalgia. You can see that my results are all off (above, the dark line connecting dots): high in the morning, low in the afternoon and back up again in the evening. I start the morning at 2.8 ng/ml, decrease to 1.4 by mid-afternoon, then increase back up to 2.6, and finally taper off at 1.0 ng/mL at bedtime. This explains my mid-afternoon slump and energetic evenings. Dr. Love also pointed out that I go from being in the bottom 50% of the normal cortisol range in the morning and afternoon, but by evening I am in the upper 50%, and trying to fall asleep with a relatively high level (l.0 ng/mL cortisol). This is probably contributing to my night time insomnia. 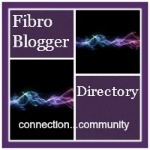 Yes, my results are in the normal range, but fibromyalgia involves increased central nervous system sensitization. My pattern of cortisol production is abnormal and I believe that a sensitized nervous system can interpret sub-optimal levels as intense fatigue. Be wary of many adrenal supplements that lower cortisol – if you have FMS your problem might be cortisol levels that are already too low. I need to boost my cortisol levels in the afternoon and reduce them in the evening. You can read about my favorite adrenal boosting supplements here. They include Vitamin C, B5, licorice and rhodiola. For night-time cortisol lowering, I like to use time-release melatonin to improve my sleep. Relaxing music. Enya is still putting out the tunes, guys. Play it all day or take a break and get lost in it. At a nice low volume, of course. Meditate. Grab your heating pad and a timer. Even just five minutes a day can keep major stress away. Acupuncture. Once a week or once a month, for body and mind relief, I swear by those magic needles! Exercise. Nothing too intense for me. I work with light weights and a slow pace. Eat clean. The more you do it the better you’ll feel. Your body will thank you for not having to work so hard. Consistent sleep schedule. Your body has a natural rhythm, just like Enya. Listen to it… Just like Enya (New Life Outlook). What is DHEA and Why Should You Care? A small study published in 2012 suggested that DHEA levels may be low in post-menopausal women with fibromyalgia and that lower levels were linked with reduced pain threshold and tolerance and several measures of illness severity. However, studies have been inconsistent as to whether FMS involves low DHEA levels (VeryWell). My naturopath recommended 1 start with 5 mg per day (a fairly low dose). I found that my energy is more sustained, even on days where I slept poorly. Processed wild yam and maca root can also increase DHEA. Update: because I have endometriosis, boosting my estrogen by taking DHEA was worsening my pain levels, so I don’t recommend it for women with endometriosis, fibroids or breast/ovarian cancer. Instead, I now take rhodiola when my fatigue is high. Rhodiola is considered to be an adaptogen, and studies demonstrate that taking this supplement improves stress tolerance by “influencing key brain chemicals, such as serotonin and norepinephrine, and natural feel-good opioids such as beta-endorphins” (Life Extension Magazine: Rhodiola). One final note: “In advanced stages of adrenal fatigue, when the body is already exhausted of nutritional reserves, it is inadvisable to take supplements that may stimulate the adrenal glands. Doing so, would be like stepping on the gas pedal in a car that has no gasoline in it. Not only will you not get anywhere, it can actually hurt the car” (Dr. Lam). It’s best to consult with your healthcare provider and to educate yourself about improving your energy by supporting your adrenal glands rather than pumping them up with a bunch of supplements. I was made aware of a great new book about Adrenal Fatigue called The Adrenal Fatigue Solution by Dr. Eric Wood and Fawne Hansen. I had previously read a book on adrenal fatigue several years ago, but a lot of research has been done since. This book presents the research in an accessible, easy to read way, along with naturopathic treatments. They also have a helpful website http://adrenalfatiguesolution.com/ with a lot of information there on adrenal insufficiency and treatments. (For full disclosure, the authors contacted me to review the book and provided me with a free copy. I genuinely feel it is a helpful resource on the topic, and have not been compensated for saying so). Mahdi, AA., et al. (2011). Abnormality of circadian rhythm of serum melatonin and other biochemical parameters in fibromyalgia syndrome. Indian J Biochem Biophys. Apr;48(2):82-7. Teitelbaum, J. (2007). From Fatigued to Fantastic. Penguin Books: NY. Thanks! Lol yes these tests are so much fun. Once I did a 24 hr urine test where i had to collect samples every time i went, store it in my fridge, and carry it to my dr.’s office on the bus!! Yuck! But ultimately it really helps figure everything out. Best of luck! I don’t know what’s worse: a 24-hour, at-home urine collection or a 72-hour (wherever you are) liquid input and output measurement. At least I got to flush mine after measuring it! I had the opposite of the expected result: abnormally high cortisol all day. It was insanely high at night. Just started taking an herb and wondering if it will work. I’m glad you got some answers. I just read a book about adrenal fatigue and suspect it’s behind many of my problems. I didn’t know about melatonin reducing cortisol. I will talk to my naturopath about that next time I go in. Anything for better sleep! It’s nice when you figure out a piece of the puzzle! I hope it helps 🙂 especially this time of year – my energy is usually lowest in the winter (and the holiday circus!). Me too. The holiday circus is the hardest time of year for me energy-wise. Hopefully, our adrenal tonics will make it easier for us. Wishing you abundant daytime energy! Oops sorry that should have said thank you for sharing this! !